16 channel input expander for line level signals. 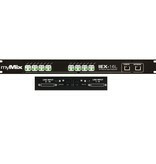 Expands a myMix system by 16 audio channels. DB25 connectors are used for line level signals (""Tascam"" pin out). Save the input configuration with channel mode, names and input gain settings in the device. The IEX16L can be locked through CONFIG port. It also features large dual color LEDS for signal present and clip. 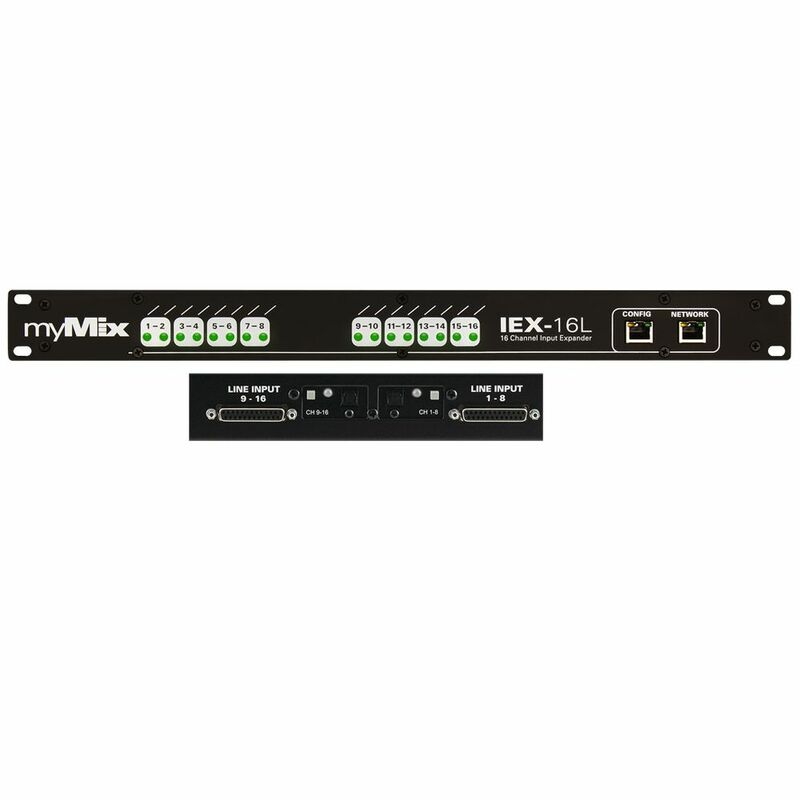 The system includes a power supply (identical to myMix) Multiple IEX16L can be used on a system for up to 500 audio channels in total (using a managed switch). The IEX16L-A also features 16 channels of digital input from 2 ADAT Toslink ports.